From the passport delay debacle to 11-hour waits on runways around the country, 2007 was an eventful year for the travel industry. Here at SmarterTravel.com, we’ve come up with our top predictions for travel in the new year. Don’t worry, it’s not all bad news. Expect in-flight Internet to be offered by many airlines in 2008. Though JetBlue has already introduced email and instant messaging capabilities for two BlackBerry models and Yahoo! users, American will be the first major U.S. carrier to offer broadband Internet service. Fifteen planes will be outfitted with Internet capabilities at first, and access will likely cost about $10. Southwest, Continental, and United have all announced plans to add Internet service as well. If American’s experiment proves successful, you can bet most, if not all, major players will rush to offer Internet service of their own. Let’s keep our collective fingers crossed that U.S. airlines don’t introduce cell phone service in the skies. London and China will both be hot in 2008. The open-skies agreement between the E.U. and U.S. gives carriers on both sides of the Pond greater flexibility in where they fly, and opens up London’s Heathrow airport to flights from more airlines than ever before. Additional flights equal more seat availability, and the increased competition may lead to cheaper fares. Already, Continental, Delta, Northwest, and US Airways have announced plans to add Heathrow service once the agreement goes into effect in March. Commercial flights between the U.S. and China are expected to double by 2012, due to a new aviation agreement with the Chinese government. Delta and United will both add China flights in 2008—Delta’s between Atlanta and Shanghai, and United’s from San Francisco to Guangzhou. Plus, the spotlight will shine on Beijing in August as athletes from around the world compete in the Summer Olympics. Expect China to get even hotter in the next few years: 2009 will bring more flights, as American, Continental, Northwest, and US Airway will all add new routes. Six major U.S. airlines—American, Continental, Delta, Northwest, United, and US Airways—have cut their domestic schedules for early 2008, despite increased demand. USAToday.com recently reported there will be 72,000 fewer seats available for travel in January of 2008 than in January 2007, as airlines eliminate flights or fly certain routes less frequently or with smaller planes. Increased fuel costs and a shift towards more lucrative international routes are contributing to the dropped flights. Whatever the reason, fewer flights mean airlines can charge more for the remaining seats. So far, the schedule cuts have applied mostly to early 2008 flights, so there is hope for the remainder of the year. Passport requirements will get even stiffer in early 2008. Adults re-entering the U.S. by land, ferry, or small boat must present a passport, or alternatively, a government-issued ID and proof of citizenship (such as a birth certificate). Cruise passengers are exempt from the passport requirements for now, though they must present both a photo ID and proof of citizenship in order to travel. Since this requirement isn’t as broad as 2007’s mandate for air travelers to Canada, Mexico, and the Caribbean, the Department of State should be able to process passports in a timely manner. However, judging from the major delays it has already experienced, it’s anyone’s guess as to what will happen in 2008. If you plan to apply for a passport, submit your application far in advance, just in case. Mergers aren’t necessarily bad news, but they can cause big problems for travelers and employees, at least initially. Case in point, US Airways and America West are still not operating seamlessly after their 2005 merger. Worse, less competition among airlines leads to higher fares. 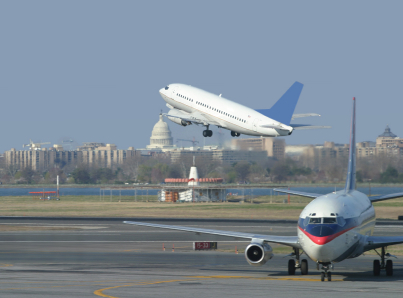 Though 2007 didn’t bring any mergers between airlines, rumors of mergers flew around for much of the year, involving major airlines such as AirTran, Midwest, and United. You can expect more of the same in 2008, as airline CEOs and industry analysts alike continue to speak out about merger possibilities. United’s CEO, Glen Tilton, has been pushing for a merger with any interested party since the airline emerged from bankruptcy in 2006. A United spokesperson told the Denver Post, “We have said for the last four years that we believe consolidation is necessary for the industry, and others independently are reaching the same conclusion.” A merger between United and Delta is the most recent possible match-up, replacing rumors of a United/Continental or United/Northwest combination.